There is nothing like being comfy. It’s as simple as that. Stress is all around us and within us. So, to be able to be comfy and comforted and to let our worries be forgotten (at least for a little bit) is really nice. I’m not an expert, but I can imagine this can be especially true for those with anxiety, OCD, ADD, autism and other issues. 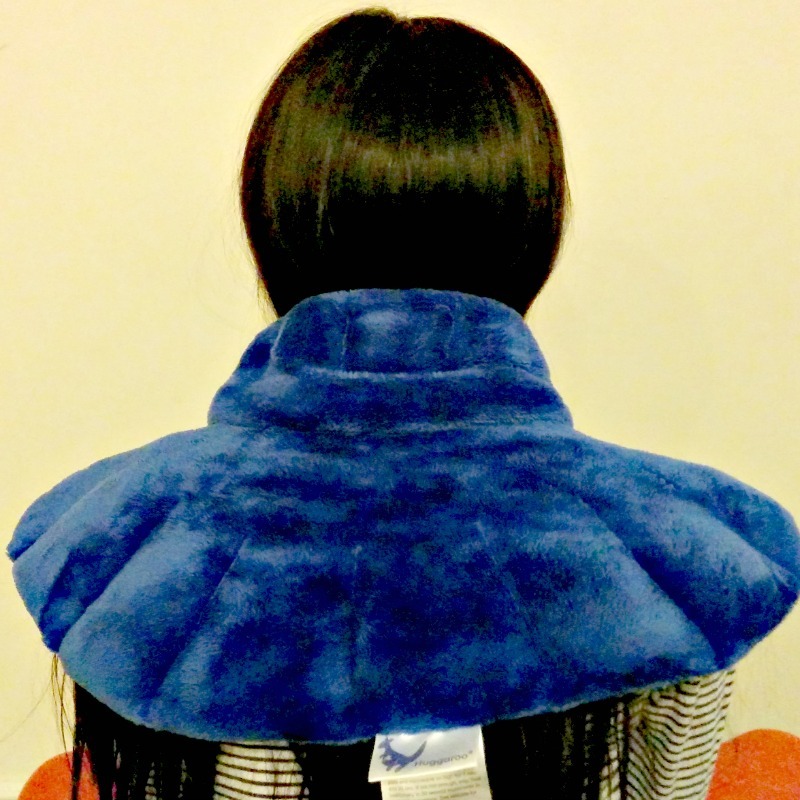 This is why I’d like to introduce you to Huggaroo and some of their products: their Therapeutic Neck Wrap and their Weighted Blanket. I’ll start off with the Huggaroo Therapeutic Neck Wrap. When I saw this, I couldn’t wait to try it (I carry a lot of stress in my shoulders). And, let me say, this item is a treasure! You heat the Therapeutic Neck Wrap in the microwave as directed. After heating it up, you can then place it on your shoulders and around your neck as shown on the package. It’s so comforting and feels very nice! The weight and warmth make an amazing difference. And, that’s not all. The wrap is filled with 100% natural dried herbs (lavender, peppermint, chamomile, and lemongrass). So, while you’re enjoying the warmth, you can also smell a subtle lovely scent that can be calming in its own way. I loved this Therapeutic Neck Wrap so much that I ordered my sister one to give her as a gift. This item is available for purchase on Amazon for $35.99 (price subject to change). The company says it’s a perfect blanket for children with anxiety, ADD/ADHD, autism, sensory processing disorder, and OCD. “The steady, gentle, evenly-distributed pressure created by the Huggaroo blanket feels like a comforting hug. 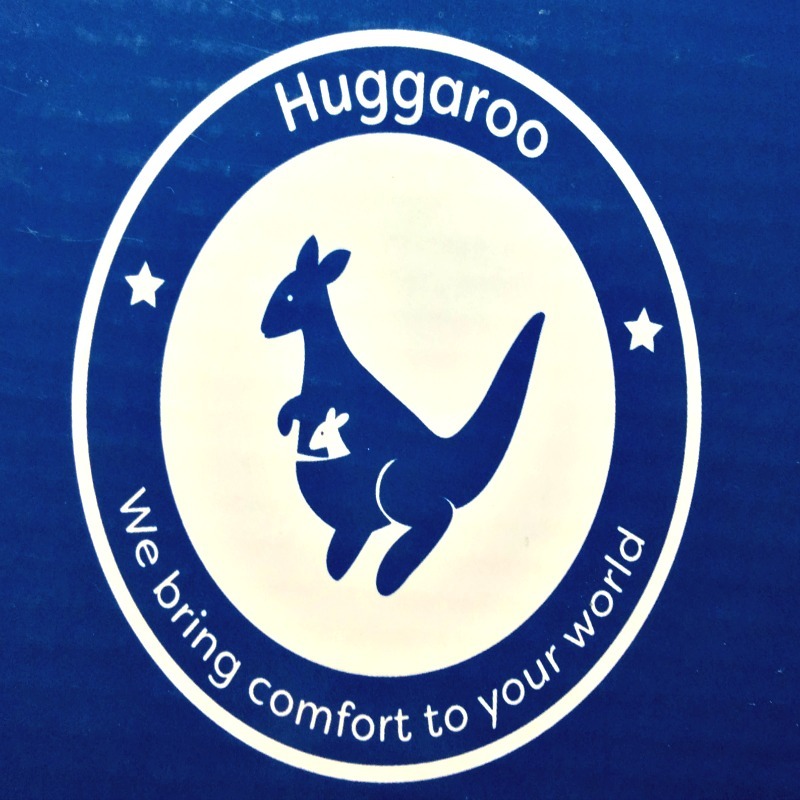 By activating the parasympathetic nervous system and lowering levels of stress hormones like cortisol and adrenaline, the Huggaroo reduces anxiety and promotes a sense of calm” (from the product’s package). The Huggaroo Weighted Blanket is 36 x 48 inches. It has an outer cover, which is removable and is a very soft chenille fabric. Then it has an inner part that is “made of 100% cotton filled with hypoallergenic, lead-free, non-toxic, odorless glass microbeads” (from the package). Both inner quilt and outer cover are machine washable (specific directions on package). The Weighted Blanket is available for purchase on Amazon. The 6.5-pound blanket is $89.99 (price subject to change). Please note that this blanket is not for use on children whose weight is less than 30 pounds. This blanket is super, super nice and luxurious. And, the weight truly does make you feel like your receiving a hug. My family members are all trying to claim this for themselves! Thank you, Huggaroo! We love your products and the quality and performance of your products are amazing!! I am not a medical expert. The information in this post is not meant to substitute for professional medical advice, diagnosis, or treatment. The information in this post is for general informational purposes only. Great post! Thank you very mcuh!